Motivating kids to be active doesn’t have to be hard. Learn how easy it can be to get your children (and entire family) moving so you can become an active family together. Exercise is important for a child’s growth and development. It helps strengthen their muscles, increase alertness and it helps keep them healthy. Children need to be active daily to maintain good overall health. Luckily, most child tend to be naturally active, without even realizing it. Especially when they’re younger. However, it is important to encourage more physical activity in children to keep them fit and healthy, and to promote an active lifestyle as they grow older. Follow these suggestions on motivating kids to be active and your family will thrive from it! Physical activity is high during the toddler stage, as they have lots to explore and learn. Toddlers are always on the go, and they seem to have boundless amounts of energy. Play is important at this age, and physical activity is incorporated into every waking hour. As children get older, they can start to lead a more sedentary lifestyle due to less interest in playing with toys. Usually this means more interest turns to computers and TV. Unfortunately, the digital world is highly addictive, and it can consume large amounts of sedentary time. 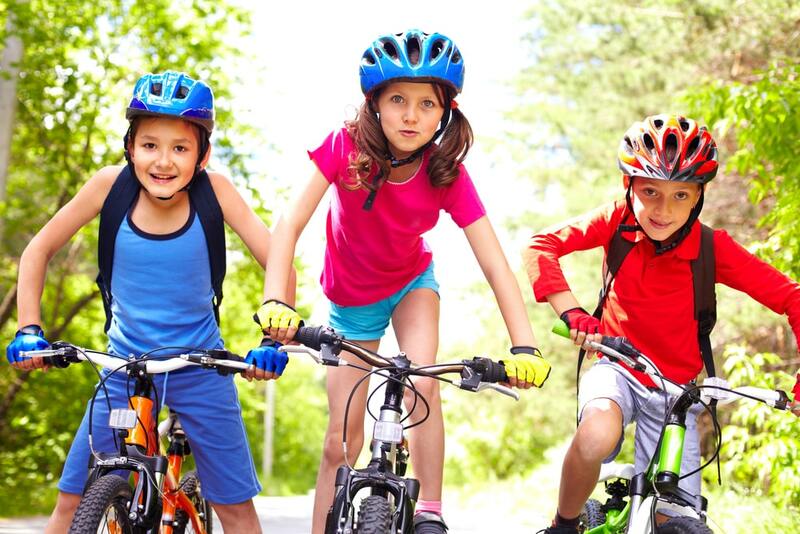 Children at this age need to continue maintaining an active lifestyle, and they may need a little encouragement to become more physically active. Luckily, there are many ways to keep children active that are fun and appealing. They don’t need to know that the activities are aimed to get them moving or that you’re focusing on motivating kids to be active. They just need to know how much fun they are. All children need is a little encouragement and motivation. It is essential to keep the focus on fun, and to add lots of variety to keep things interesting. Let kids decide how they want to be active when possible. Let them pick the activity and/or where to do said activity if there’s more than one option. Give kids choices, like A and B, to choose between if they aren’t old enough to come up with ideas on their own. Parents should show an interest and lead active lifestyles in order to encourage the children to follow suit. Make time to incorporate healthy activities into the schedule each and every day to keep the entire family happy and healthy. When possible, complete activities as a family or even dedicate entire trips to being active as a family. Family camping trips are a great way to incorporate a variety of physical activities for kids and adults. You’ll also be a positive role model for your children. To encourage children to be active, find activities that they really enjoy. Finding something that they enjoy can encourage them to keep coming back for more and make it feel less like work. 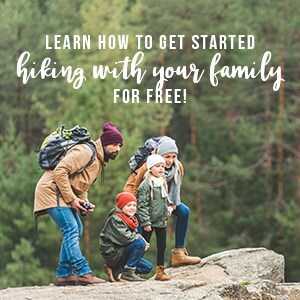 You can also try less strenuous activities like scavenger hunts, nature walks, games like simon says or duck duck goose, obstacle courses and more. For less organized activities that are still fun for the family and keep kids active, try kit flying or simply playing at a park. These are all outdoor activities families can do together as well. Consider these end of Summer activities for families if you’re struggling for ideas. In need of some more inspiration for motivating kids to be active? Check out these family friendly options on Amazon. Most can be used for a variety of ages (including adults! ), making them the perfect addition to an active family. Need easy ways to get kids to exercise? Incorporate exercise into the daily schedule by opting to walk whenever possible. Younger members of the family may dispute this choice initially, however, over time they will soon become accustomed to walking; it will become natural to walk to intended destinations. A good brisk walk gets the heart pumping, and is an easy activity to enjoy every day. It promotes a good feeling and improves health and well-being. Walking is also a great way to spend time together as a family. It provides time to catch up and talk. Not only is it great for bonding as a family, it also allows children to be able to explore the neighborhood, enjoy fresh air and be able to observe the world around them. If you don’t live in an area where you can walk to nearby destinations like a restaurant, library, trails, store or park from your home – you can always drive to a more central location first. Keeping children physically active is imperative to ensure that they will continue good habits throughout life. Motivating kids to be healthy doesn’t have to be hard. There are many fun ways to encourage healthy physical activity without children even realizing it. Keep the focus on fun, and join in that fun to ensure that the entire family benefits from healthy physical activity. An active family is a happy family! If you found this post on motivating kids to be active helpful, please share it below!